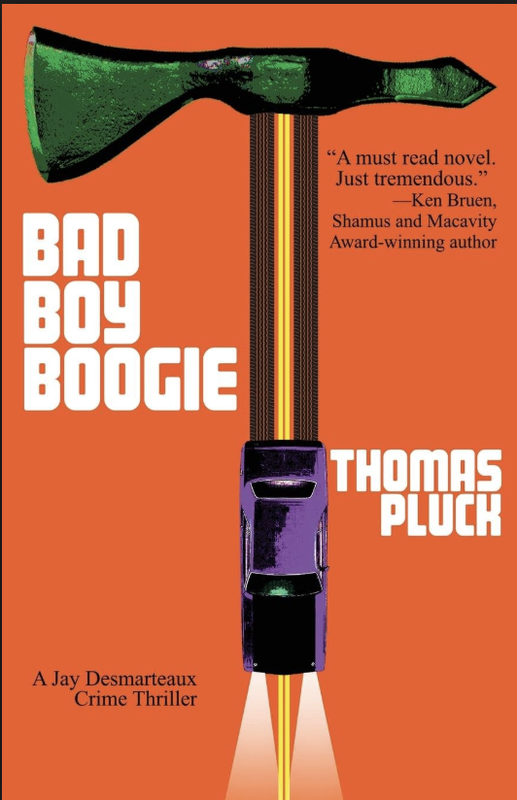 If dark crime thrillers of persecution, personal justice, and payback are your thing, Thomas Pluck’s Bad Boy Boogie has them all, and more in this wild story of an ex-con’s return to his small hometown. When Jay Desmarteax comes back to Nutley, New Jersey to restart his life after serving 25 years for killing ruthless high school bully, Joey Bello, he finds that his folks have disappeared, his old friends want him gone, and his enemies want him dead. It is a narrow-minded place with close-minded people; full of secrets, and layers of corruption simmering just beneath the calm and ordered surface. The cruel aspect of being an outsider carries a lifetime sentence from which you can never really recover. What is more unjust, his best friends who remained in Nutley, end up with the same small-town mentality. They see Jay as a reminder of a past they want to forget. In the true spirit of crime thrillers, when Jay Desmarteaux finds he is dealing with shady small-town politics, and a legal system that has become as corrupt as crime itself, he is unable to follow the advice of his old mentor, Okie Kinkaid: “the best revenge [is] living well”. In returning to Nutley, Jay is rendered cynical by an unending cycle of violence and deceit. The rejection releases Jay’s tremendous grudge against the people and the town who left him to carry the entire blame for a crime he did not commit alone. Instead of retreat, Jay’s fight back begins with returning to his childhood home. Ultimately he is going to find his parents, but he wants answers first. Bad Boy Boogie deals with dark and disturbing matters, but it carries an equally satisfying amount of justice, because stories of revenge are fulfilling. The impulse to strike back against corruption and cruelty is wired deep-we can’t help but glorify an avenger who answers brutality with Jay’s level of ferocity, especially on issues of child abuse. His retribution is swift and thorough, and feels valid. Pluck’s tough-guy action is balanced with unexpected humor. Bad Boy Boogie’s title is a tribute to the band AC/DC. “Back in Black”, “Problem Child”, “Live Wire”, “TNT”, and “Highway to Hell” title each section. In a guest post for Pulp Curry, Pluck wrote, “My favorite AC/DC songs work like noir tales.” And like the band’s lyrics, Bad Boy Boogie is on point; humorous, rowdy, loaded with working-class antagonism and pride. Pluck employs the same raw ideology in his story as AC/DC applies to their music. This is not the last we will see of Jay Desmarteaux. Jay gets around. Pluck calls him “the walking Cajun shitstorm” who has appeared in several short stories, and will return in a follow-up novel where he will search rural Louisiana for his parents. E.F. Sweetman is a writer living in Beverly, Massachusetts. Her stories have appeared in Microchondria, FunDead's horror anthology, and Switchblade Magazine, as well as upcoming issues of Broadswords and Blasters, and Econo Clash Review. 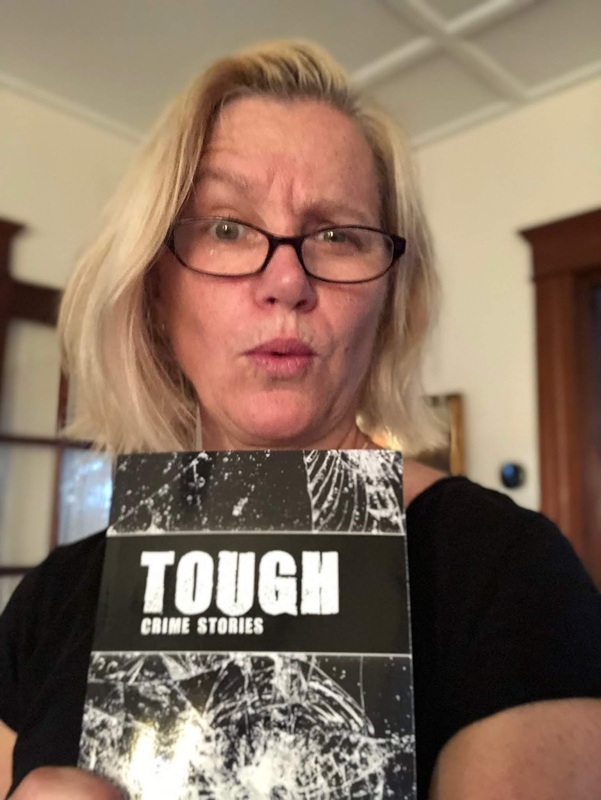 She reviews noir, crime and thriller novels for both TOUGH and SPINE. Follow her on Twitter @EFSweetman.